Do you ever window shop online? I think 99% of my procrastination time is spent reading blogs and scrolling through pages and pages of clothes. 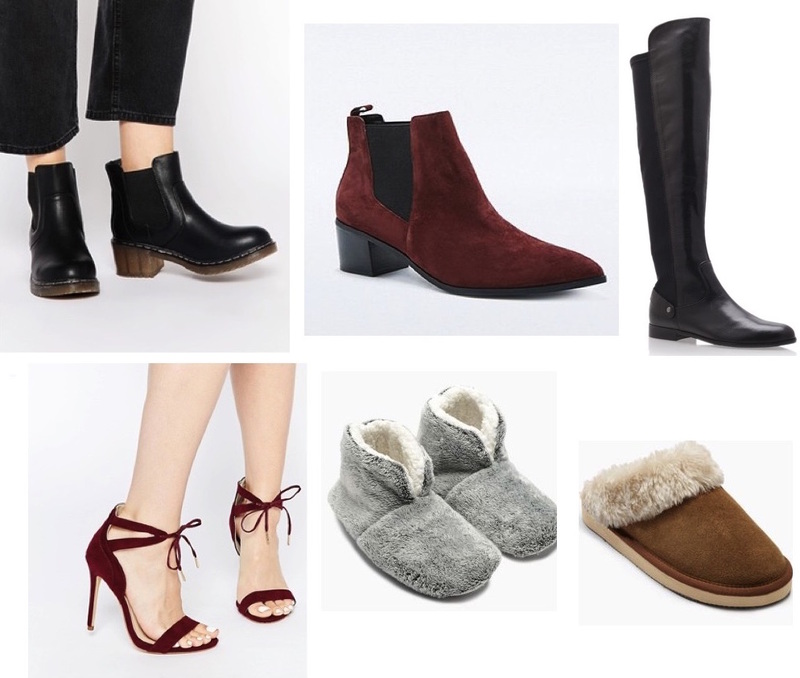 This is my favourite time of year for clothes, the winter coat hunt is the most anticipated event of my calendar and hiding beneath wooly jumpers, coats and thick tights is my idea of heaven. Hot chocolate by a log fire wearing the thickest socks money can buy- oh my good heavens, autumn/winter is bloody great. Although I don't tend to upload outfits onto Alice's Antics, this is something I'm hoping to change in the next couple of months. However in the mean time, I thought I'd give you a look into my ideal wardrobe at this time of year. So grab yourself a hot chocolate and settle down ready to feast your eyes on some of these absolute beauties. I have had my eye on those Kurt Geiger over the knees for the last couple of years and they're still continuing the boots! Although the most pricey of the selection I definitely think of boots as an investment. My last pair saw me through nearly 3 winters, so it makes the price just about justifiable in my books. Although I'm not attending any winter weddings this year, I'm looking for any excuse to buy these heels too. I love all things suede (or faux suede) at the moment and these are right up my street. 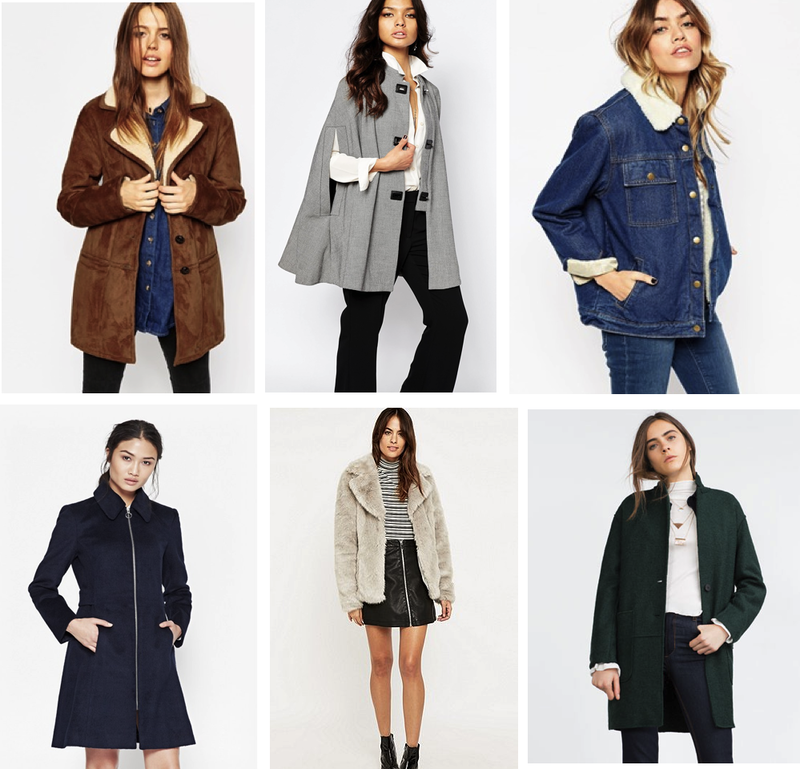 Can you see the common denominator in the majority of these gorgeous coats? I'm a huge fan of tailored clothing over giant parka-type coats. The first one is actually on my christmas list as I just love it so much I can't really imagine life without it now. The big grey faux fur coat is the only one I've seen which I love. I'm normally a bit anti these kinds of coats as I feel they're a bit too fabulous for everyday wear, but this one is just so gorgeous and looks so warm I wouldn't mind it in my wardrobe at all. This little collection of dresses is sure to make your head spin. Although the last one isn't really a party dress, my friend recently ordered it and I think I'm in love. She's a redhead so it looks far better on her than even on the model, but it's such a gorgeous green it compliments all skin tones and hair colours. I have a lot of christmas meals to be planning for, from work meals to family meals to society and sport meals... I may end up looking like a christmas pudding by the end of December. Do you see anything that tickles your fancy? I cannot wait for pay day. Sadly it won't encompass everything featured, but I definitely wouldn't mind getting my hands on a few of these items. I hope you're all having lovely weeks and, if you're British, getting ready for Firework night!